Departement of Vaucluse - Pop. 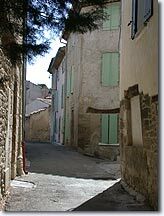 : 5,200 h.
Situated 7 km east of Carpentras via the D942. This little town nestling at the foot of Mont Ventoux in the centre of the Vaucluse department enjoys an unrivalled location. Some 28 km² of its territory is devoted to agriculture and wine-growing, which produces the famous Cotes du Mont Ventoux. It is also very well known for its fruit, wines and truffles. 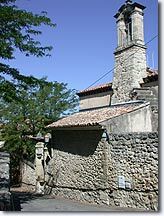 Mazan and its history can be discovered by following the little Auzon river that flows through the village. The wealth of its archaeological excavations testifies to the importance of this town since ancient times. 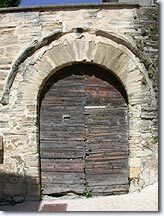 The gates of its ramparts dating from the 12th and 14th centuries are evidence of its medieval past, as is the church of Pareloup (12th and 15th centuries) which has been altered several times. It houses works by the sculptor Jacques Bernus, a native of Mazan. In the north-east part of Mazan you can visit the Allee des Sarcophages: this cemetery is surrounded by a succession of stone sarcophagi from the 6th and 7th centuries, found in the fields in the 18th century. 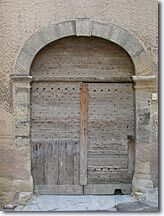 We know that in olden times there were hundreds of them along the ancient way between Carpentras and Mormoiron, and they are reminiscent of those of the Alyscamps in Arles. Some famous lords had residences in Mazan, such as the beautiful chateau de Sade, which today houses a very charming and elegant hotel****. A little further on, you will discover the Chateau des Causans built on the rampart near the Mormoiron gate. The history and folklore museum is housed in the chapel of the White Penitents (17th century). It presents diverse aspects of traditional country life from times past. You will discover a collection of tools, traditional costumes and the re-constitution of a farmhouse kitchen from the end of the 19th century. Around the village you will be able to admire the countryside and the scenery thanks to the numerous country roads (about 150 km of them) in the Mazan area. Be sure to visit the Monday morning market selling aromatic herbs in front of the former town hall, on the Place du 11 novembre. A not-to-be-missed event: Since 1725, once in every generation, during the Carri festival, the inhabitants of Mazan let off steam by aping the administration and the village elders. Traditionally a procession brings together consuls riding mules and the lord's float drawn by twenty-seven horses. These are followed by several other floats, e.g. : the snails float and the float of judges of a good bottle of wine, etc. It promises to be a joyful and picturesque event... ! 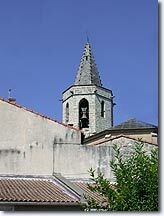 Chapel of Pareloup (12th and 15th centuries). All ée des sarcophages (Alyscamps). Chateau de Sade (privately owned). The trails. The history and folklore museum,. The church with its works by Bernus, the painter-sculptor born in Mazan. walking, bicycle touring and mountain biking. 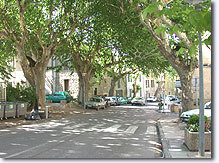 Malemort du Comtat (5 km), Mormoiron (5 km), Carpentras (7 km), Blauvac (8 km).